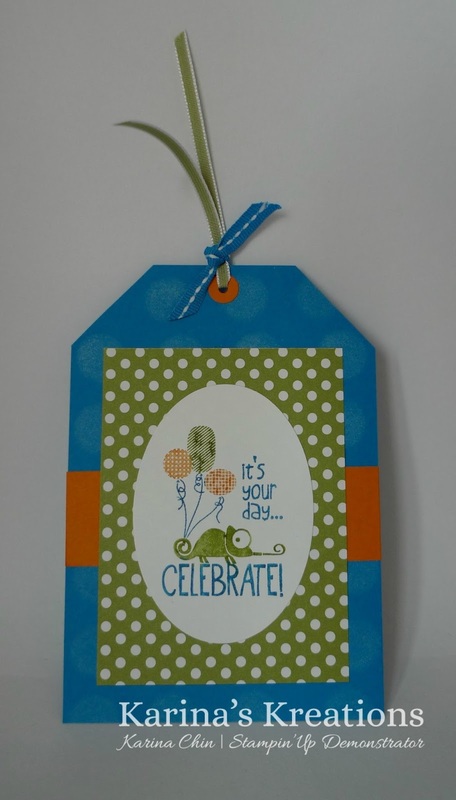 Karina's Kreations: Stampin'Up Tag It! Get ready for all those fall kid's birthdays! If you give a lot of gift bags, why not make a bunch of these cute tags to hang on your bag. 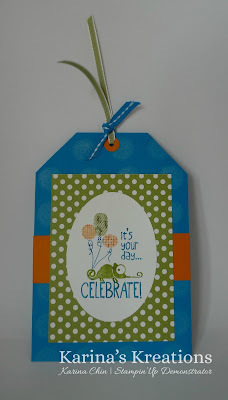 The Tag It stamp set from Stampin'Up is perfect! Just make sure you own a couple of Stampin' Write markers to color the rubber stamps with. This would make a great class too. Get a few of your friends together and I run a class for you. Email me at kchin2@telus.net.